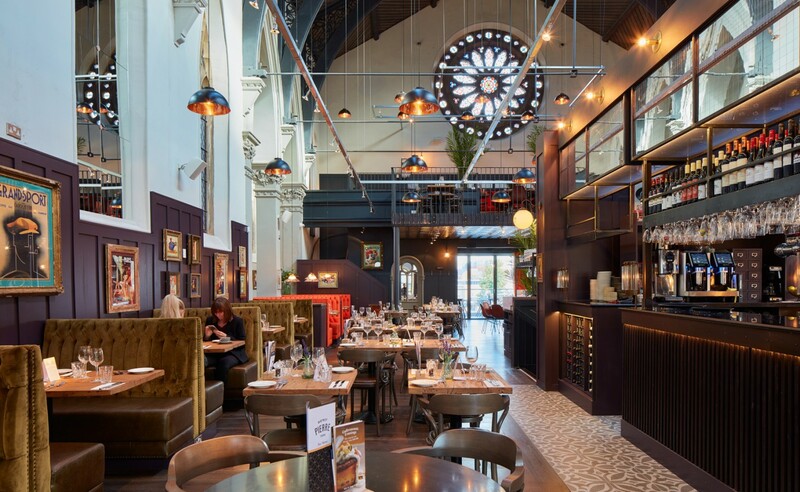 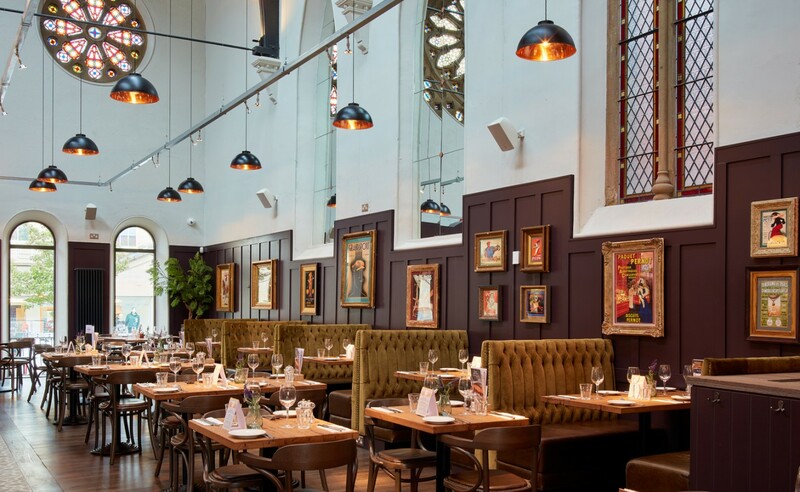 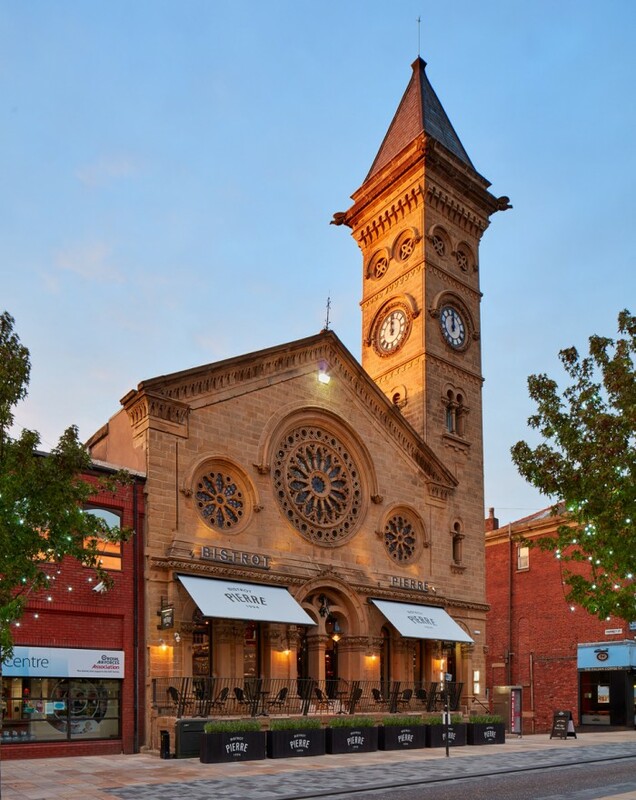 Working with successful restaurateurs Bistrot Pierre, our brief was to create an atmospheric restaurant within the shell of this disused Grade II listed former Baptist church, situated in a busy retail district of Preston. 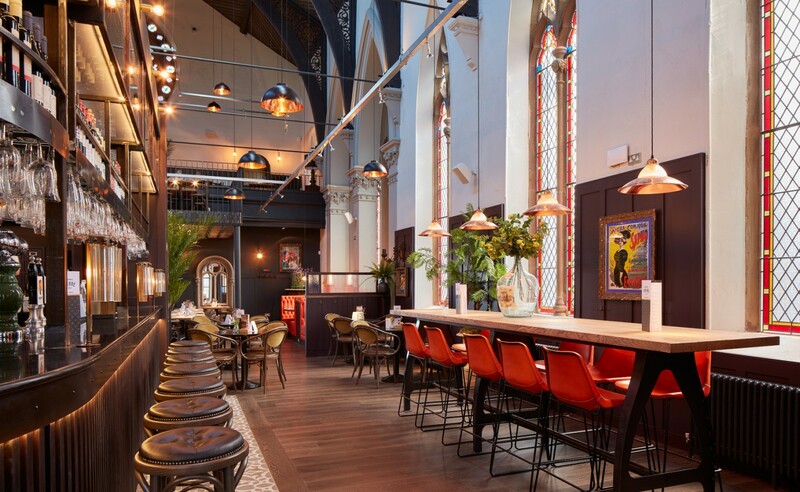 We decided to locate the bar centrally within the space: a curved element of marble and timber with a high level gantry studded with decorative lights and sparkling with faceted mirrors, reflecting the surrounding decorative windows. 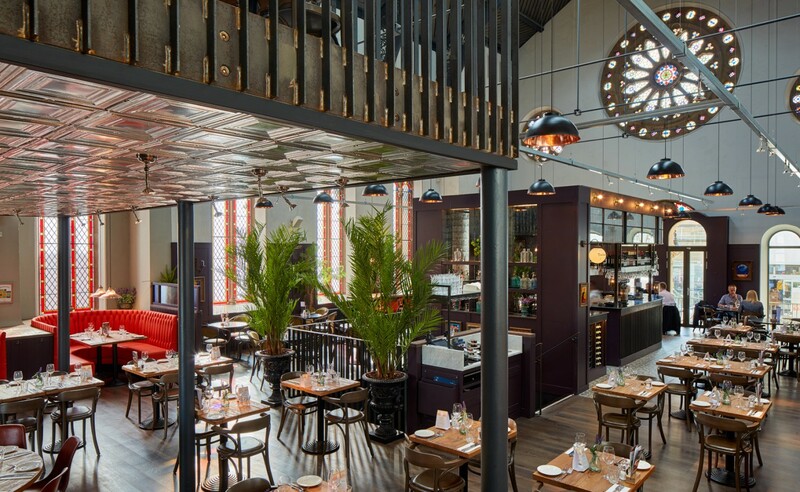 This central element is surrounded by a variety of bar and restaurant seating with a series of large pendants overhead. 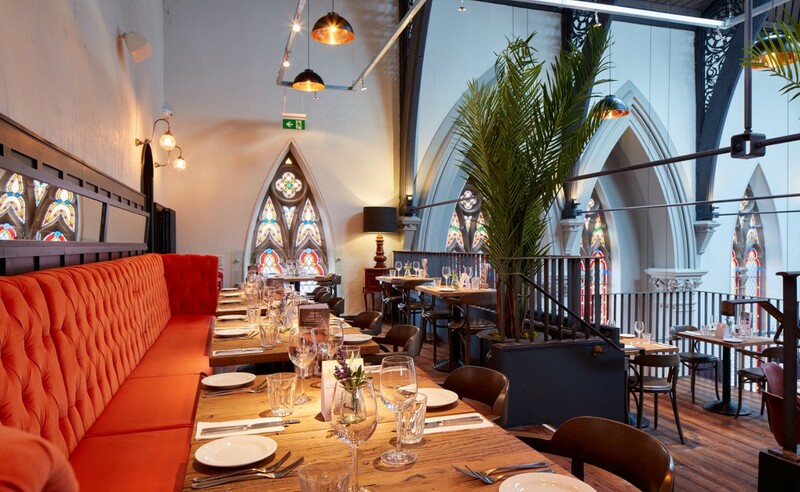 The introduction of the mezzanine area seating was a chance to extend the original organ loft, creating an opportunity to rise up within the space and allow views over the restaurant below. 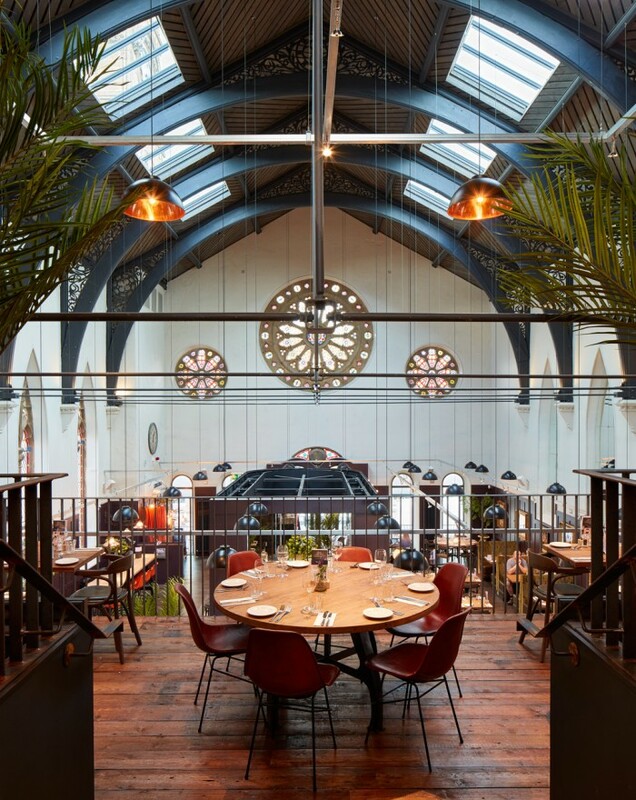 The horseshoe shaped banquettes and low level pendants frame the decorative arched windows and the dark timber panelling creates a warmth at low level, wrapping around the ground floor & mezzanine seating areas.